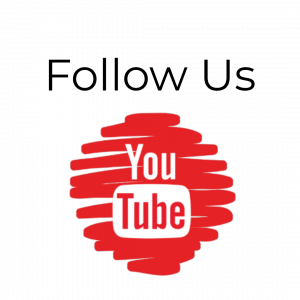 Posts may contain affiliate links, in which we earn a commission. This helps us to continue to travel and write great blog posts – Thanks for the support! One of the most celebrated temples in all Japan, Kiyomizu-Dera is located in the historical city center and a must visit. It was founded in 7800 and got its name from the Otowa Waterfall it was built upon. The wooden stage that’s just outside of the main hall of the shrine rests 13 meters above the hillside below and offers impressive views of the city. During the Edo-period, it was said if one survived the jump from the stage, one’s wish would be granted. In all 234 people are said to have jumped, surprisingly, 85% of people survived. You won’t find modern jumpers though as the practice is now prohibited. Beyond the shrine, you can visit the waterfall, where you can catch and drink the water that is said to have wish-granting power. 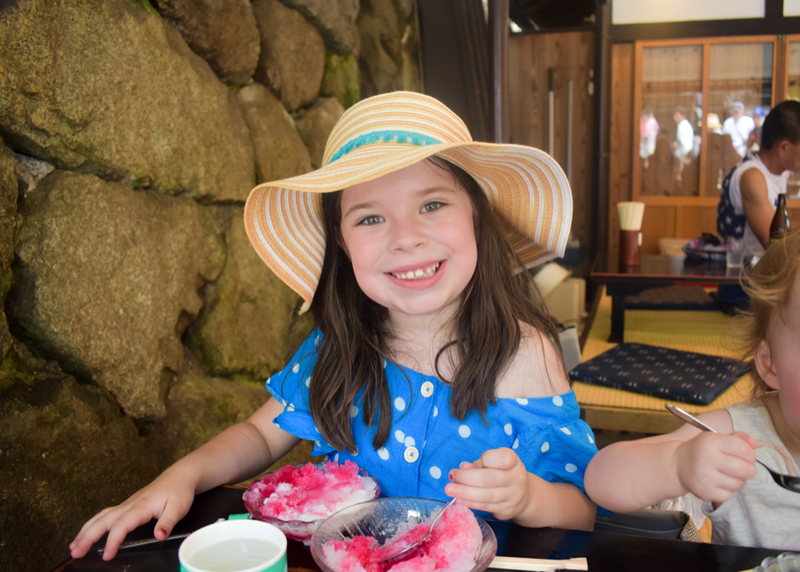 Be sure to take a break here in the hot summer weather, and order shaved ice while taking in the natural scenery. There are a lot of stairs, so it’s best to babywear small children. We suggest taking a taxi to the highest point and after touring the site make your way down through the small historical streets with traditional shops and restaurants. Gion is the famous Geisha district located around Shijo Avenue between Yasaka Shrine in the east and the Kamo River in the west. The Geisha in Kyoto are called Geiko and Maiko. The district is filled with Geisha houses, and ochaya establishments, where the geiko perform. While taking a leisurely stroll through the district, be sure to visit Tatsumi Bashi, the famous bridge from the movie Memories of a Geisha. If you’re a matcha lover you’ve come to right place! Kyoto makes the highest quality green tea, Uji matcha, in Japan. Besides tea, matcha can be found in a wide variety of decadent desserts at the plentiful tea houses. 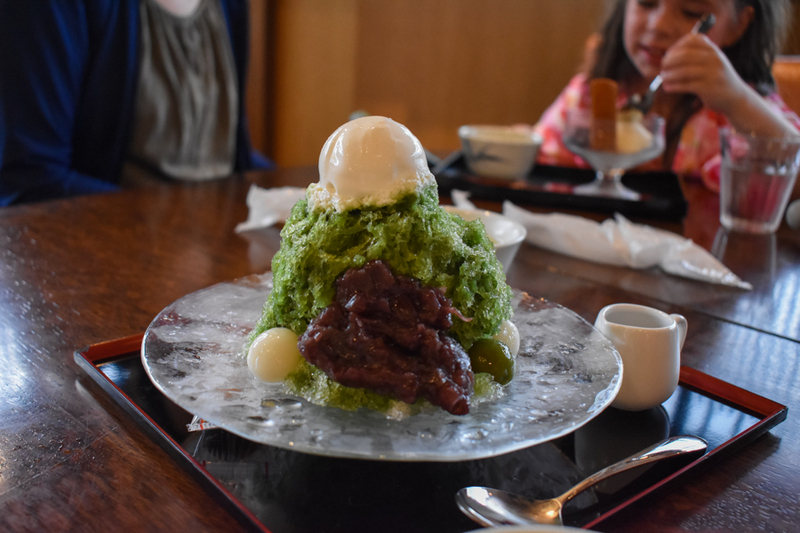 Some of our favorite desserts included matcha shaved ice, vanilla match ice cream, matcha jelly, and mochi. In summer it’s popular to drink cold matcha drinks and in winter latte matcha becomes the rage. ﻿ Besides matcha, Kyoto is also known for its incredible food, which can be sampled at the famous Nishiki Market. It is incredibly packed so be sure to babywear infants and keep a close watch on small children. Be sure come with an empty stomach and to leave lots of time for this market that spans 400 meters. We decided to book a tour with the tour agency, Japan Wonder Travel, that is known for their original FooDrink tour of Nishiki Market. Some Child-friendly foods to sample include, yuba, soymilk donuts, Omusubi, Hamo, Japanese omelet, and fish cakes. We loved the market so much we ventured back the following day to taste sushi, huge oysters and sea urchin. 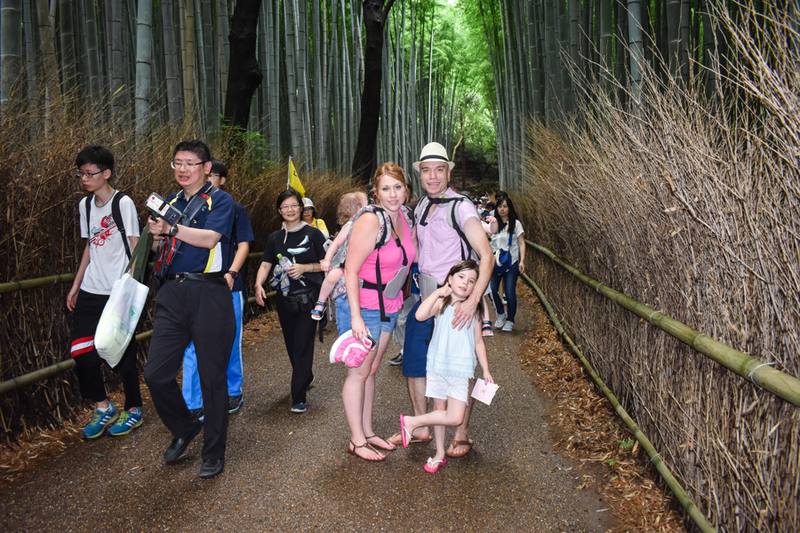 Arashiyama is not located in the center of the historical center of Kyoto but on the western outskirts of the city. Meaning, you must go by subway, hire a taxi or an organized tour. The district got its name from the mountain across the Oi River, which is the backdrop of the area. 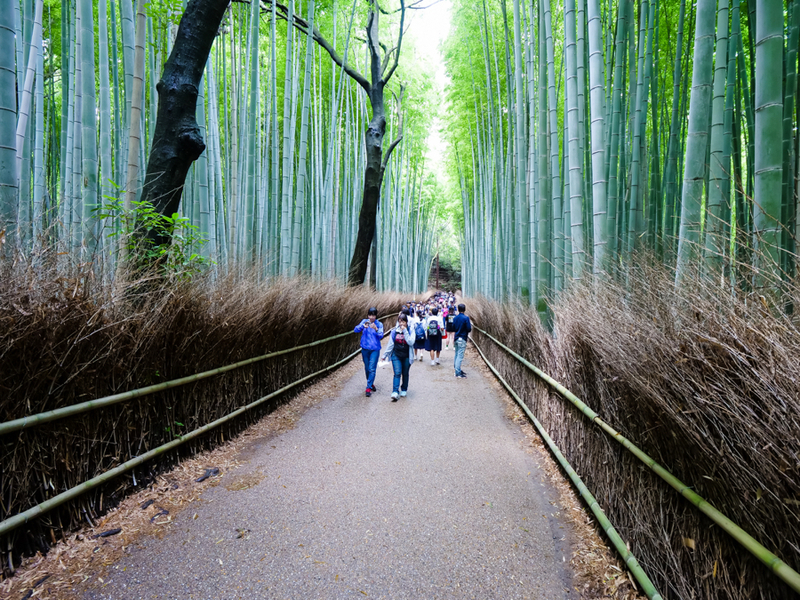 Arashiyama is full of sites to visit, which include, the famous Bamboo forest and its Monkey park, and Tenryū-ji temple with its beautiful zen garden. We enjoyed our day here and it was a nice retreat from the city. 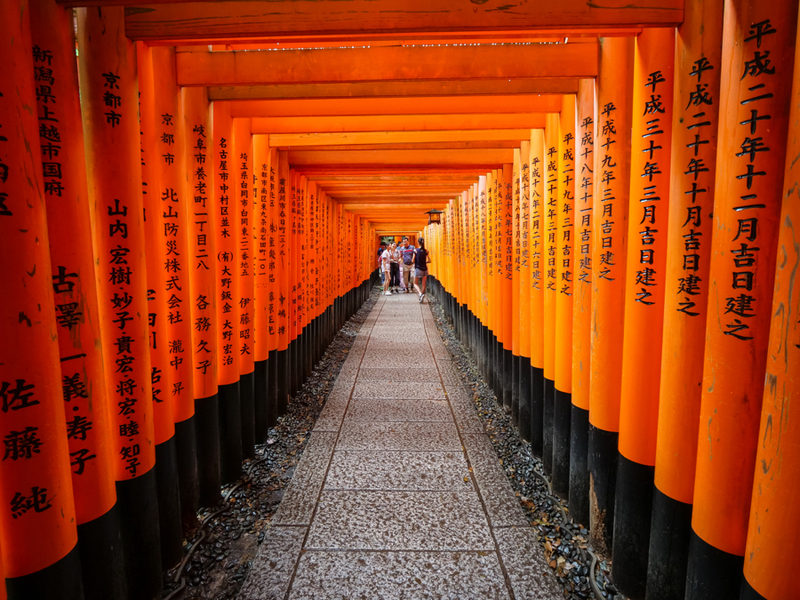 No visit to Kyoto is complete without a visit to Fushimi Inari Taisha! 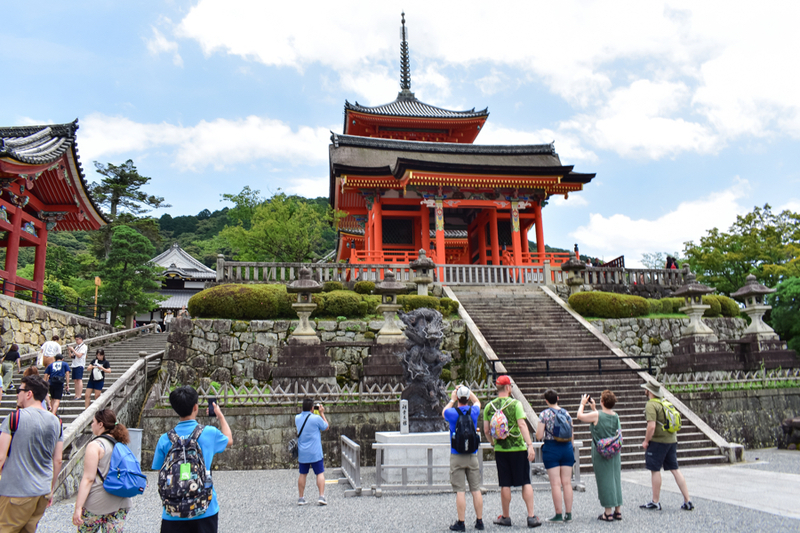 The site is famous for the 1000’s of bright orange torii gates that frame the various hiking trails leading up Mount Inari from the main shrine. The full hike to and from the summit takes 2-3 hours, so many people opt to complete the Senbon Torii trail and then head back. We explored the area on a rainy day, with lots of mosquitos, so we turned back after these parallel rows of gates. 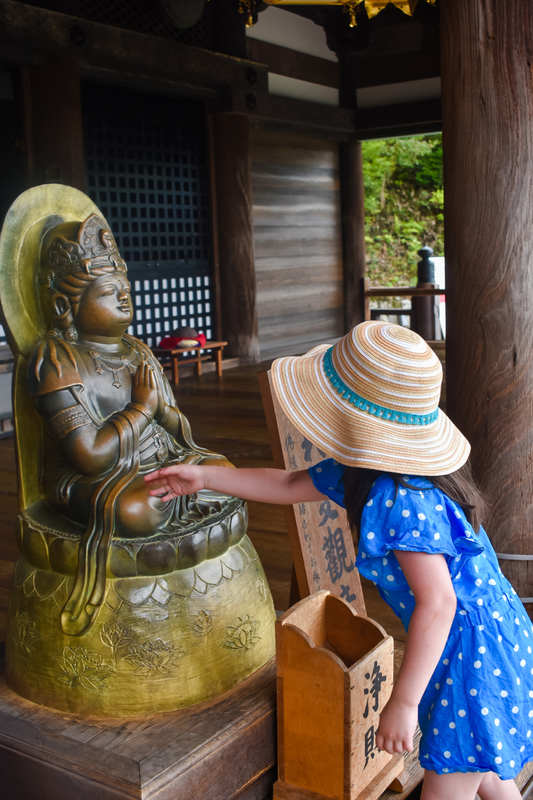 Also referred to as the Golden Pavillion, this Zen temple is one of the most visited places in Japan. The current structure is not the original but was rebuilt 1955 after being burned down by a fire. The pavilion is notable for is beautiful gold-leaf coating. It’s set on a beautiful pond with 10 small islands with distinct formations that represent different Zen typologies. 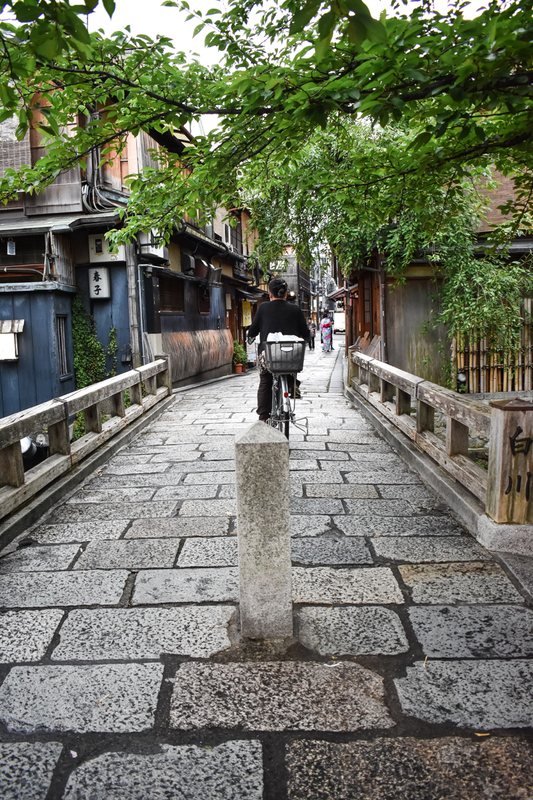 We hope you enjoyed this Kyoto city guide! 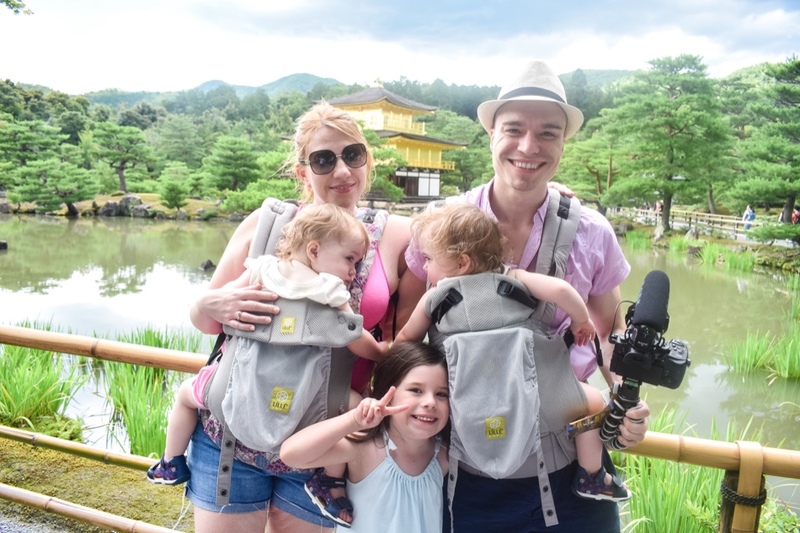 Have questions about Kyoto? Places to add to this list? Let us know in the comment section! This brought back a few memories for me. I used to catch the train to explore Kyoto as it was one of my favourite places when I used to live in Japan. Like the choices you have selected for this post, it is certainly worth visiting for anyone in the region. How interesting! We would love to live in Japan. It’s such a beautiful country and the people are nice. 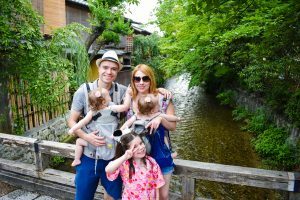 The Gion area is everything you would expect! It’s truly beautiful and has an old Japanese feel. Japan is one of my number destination in my bucket list because it is really beautiful. 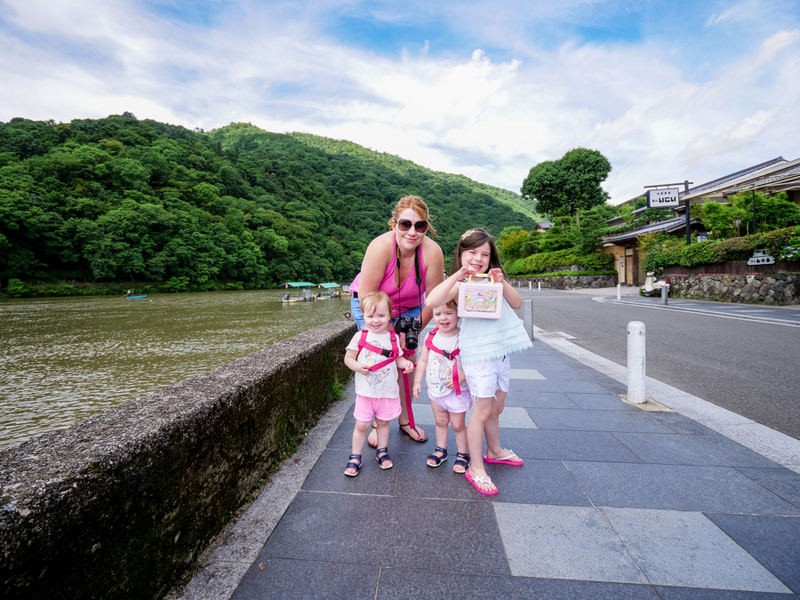 You post is such a great guide to all people “including me ” who wants to go and explore Kyoto, Japan. Thanks for sharing your great adventure! Thank you! I’m glad you enjoyed our city. Feel free to reach out for tips if you ever go! This is amazing!!! And I always thought your kids had to be older to enjoy a trip like that. Thanks for the inspo!!! On my last visit to Kyoto, I missed the Fushimi Inari Taisha tour. I hope yo go back again and won’t miss it next time.